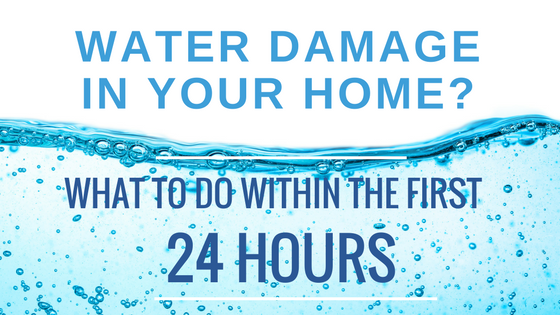 Damage from water comes in a variety of forms. Whether it be a slab leak, a burst pipe, or an appliance leak such as a dish washer or water heater. Once you recognize that you have a water issue, there are very specific actions you should take. Immediately follow these steps after a flood in your home or business. These steps could lessen the extent of mold & mildew from forming. After the water has stopped flowing, it is important that your first step be to assess the area. Your safety and the safety of others should be your primary concern. Depending on the extent of damage, you will need to determine if the area is safe to pass through*. This means looking out for electrical outlets or other potential electrocution risks. Once you have determined it is safe, it’s time to start taking a thorough inventory of the damage. While it may be tempting to want to clear away the water, it’s important to get documentation of all damage for your insurance. This measure helps maximize the extent of your coverage. At this point you should have a thorough inventory of the damage the water leak or flood has caused. Your insurer should be able to guide you in next steps to start on repairs. Your insurer will also instruct you to prevent further flood damage and that means it’s time to hire a professional, certified water restoration company. In the fight against flooding, it’s easy to forget how damaging water can be. Water is absorbed into almost every surface it touches in your home. In the first 24 hours, drywall begins to swell, furniture begins to crack and a damp and musty odor can permeate throughout the home. In the first week, mold and mildew grow and spread, wood flooring warps, and studs/ doors can swell and warp. 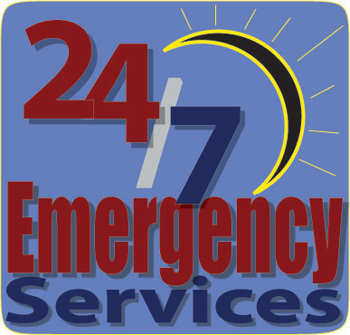 The Flood Solutions Inc.’s team of emergency water experts are available 24/7 for your emergency situations. We are dedicated to your satisfaction and are here to help you achieve your restoration expectations and will help you prevent any further damage to your home. We also offer to shutter and roof tarping services which are preventative measures you can take against expected storms. Flood Solutions Inc. is with you in your time of need with a quick response time our team of mitigation experts are ready, competent and efficient and here to tackle even the toughest of emergency flood repairs no matter the cause. *Please note: In the case of a natural disaster that causes your home to flood, it is important to remember to only re-enter your home after the flood warnings and evacuation notices have been lifted.